Many people say that eating almonds helps us in increasing brain power. Yet no one has explained this theory, but Almonds Have Many Health Benefits - Here Are 8 of Them! Good digestion means better health and better fitness. The outer layer of almonds holds enzyme inhibitor, which is discharged by soaking almonds in water. It is how almonds become healthier and digestion-friendly. Your diet becomes low-fat diet because the enzymes present in almonds help you in dealing with fat. Aging is one of the most troubling skin issues, which girls and women never want to face. If you are also one of those who want to look younger, eat almonds. You will get vitamin C via almonds, which is an antioxidant and helps us in reducing aging symptoms. It means you can look much younger by consuming almonds daily. Soaked almonds are great nutrition for pregnant women. Soaked almonds offer folic acid, which is quite necessary for the appropriate growth of fetus's brain and other parts. Doctors always suggest ladies to consume almonds as they get the positive benefits. In addition, soaked almonds promote digestion process. It helps new moms in easily digesting the food they eat. Health experts have studied and have found that almonds can easily improve the functionality of the central nervous system. All you have to do is just eat 5-6 almonds daily and it will promote the performance of your brain. Many people experience skin disorders like itching, inflammation and dry skin. To get rid off of such problems apply a paste of soaked almonds. Your itching problem will get treated quite quickly and there will be no chance of facing such problem again. Chemically mixed hair conditioners of big brands often cause adverse effects also. It is the reason many people feel afraid of using such products. You can create your own hair conditioner by using almond seeds. Grind almond seeds with olive oil and apply the paste on scalp and hairs. It will work to make your hair smoother and stronger. People try everything to keep increasing levels of LDL cholesterol under control. Of course, it is not quite easy to do, especially if you love to enjoy the urban lifestyle. 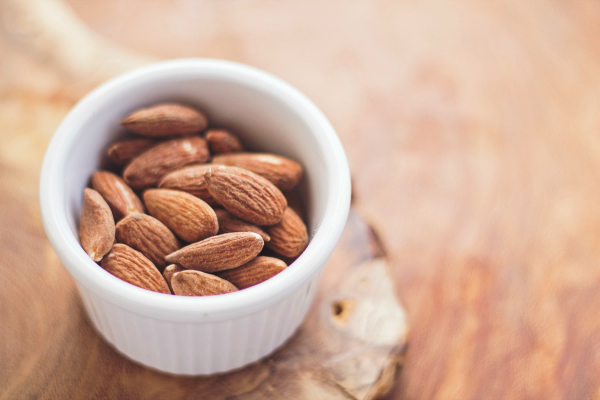 The almonds can easily control LDL cholesterol levels because they contain monounsaturated fatty acids. MUFA is renowned for reducing LDL cholesterol levels and increasing HDL cholesterol levels. If your skin is looking unattractive because of dead skin cells, you should eat almonds. These seeds work for repairing damaged skin cells from inside the skin. You get more attractive and glowing skin. Therefore, include almonds in your daily diet as Almonds Have Many Health Benefits which help you stay fit and healthy.